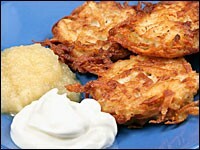 Potato pancakes, or latkes, are the most traditional dish that is served during Hanukkah. 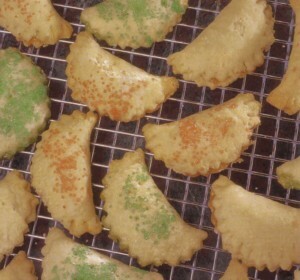 The texture varies, with some made with coarsely grated potatoes, some finely ground, and some are made with mashed potatoes. 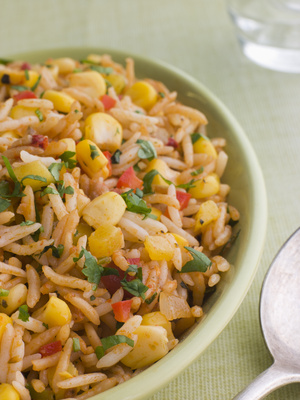 Adding ingredients such as herbs and vegetables is quite common, but these Southwestern ingredients are not. 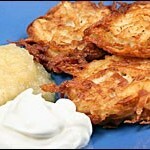 Traditional latkes are served with applesauce, but if you want to garnish these, try sour cream or Mexican crema. Place the potatoes and onions in a strainer over a bowl and let stand for 10 minutes to let the liquids drain. Gently press to squeeze out as much moisture as possible. 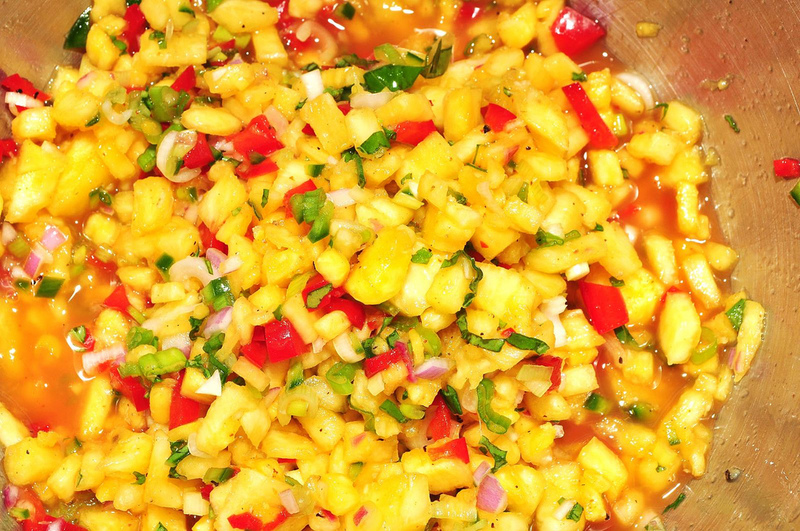 Mix in the eggs, flour, cilantro, chiles, and salt, and mix with a fork until a batter is formed. Heat a skillet over medium-high heat and add the oil to a depth of 1/4-inch. When hot, drop a tablespoon of batter into the oil and press down gently on the cake. Fry until browned, turn and fry on the other side until crisp. Remove and drain before serving.